Comments: Has a growth habit similar to a palm, although unrelated. A strong accent in a garden bed or in a container. 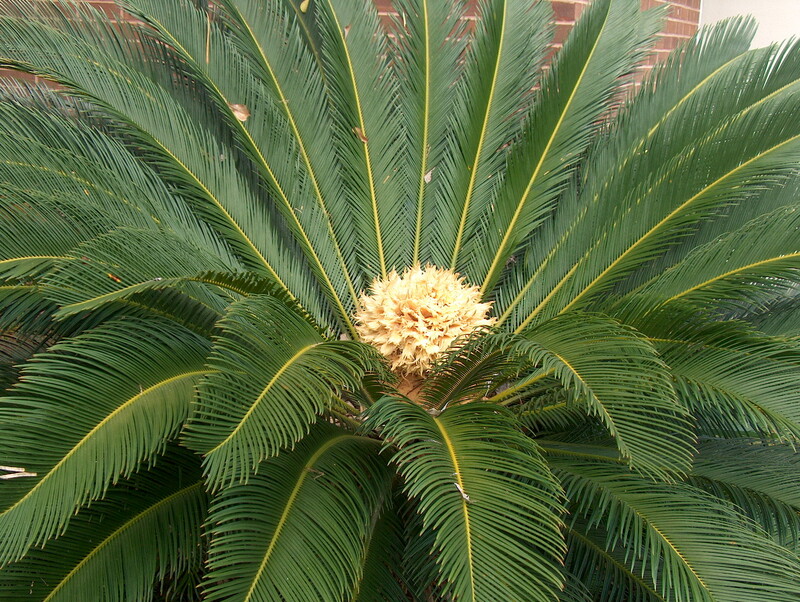 Foliage of this semi-tropical can freese in zone 8, but the plant is seldon killed in zone 8. Male and female flowers produced on separate plants. Flowers do not occur every year, even after plants become of flowering age. Side shoots produced on rounded appendages and may be removed from old plants and planted. Leaf anthracnose which causes dead sections along the fronds can be a rather serious problem.